Considering that I had previously known nearly nothing about Andrew Lloyd Webber’s Love Never Dies (it never made it to Broadway), other than the fact that it is a follow-up to his iconic, multi-award-winning The Phantom of the Opera, I attended it with completely fresh eyes – and if you’ve read many of my previous reviews, I’ve often noted this is my preferred position when seeing any production. For me it’s like being a child again at Christmas – anticipating the unwrapping of the biggest, most beautiful gift under the tree. My only trepidation was despite having seen it twice, I hadn’t been to a production of Phantom for longer than I can remember, and I was afraid some of the nuances of the original story would be lost on me. What I can say about Phantom, however, was that as one of the first shows I’d seen in my early forays into Broadway culture, it had blown me away. I was awestruck (the chandelier! ), starry-eyed, and knew right away that I’d fallen madly in love with the Great White Way. I know that’s not everybody’s feeling when it comes to Phantom or Lloyd Webber himself. In truth, the plot is disturbing – a darkly, twisted love story with some very unpleasant characters – but it embodies so much of what we love about theatre: transcending reality and grand entertainment. I’ve also become aware that there has been a fair amount of negative feedback about Love Never Dies – reviews have not been kind – but I am dumbfounded by this. In my humble opinion, if you love Phantom, you’ll feel the same about Love Never Dies. And while it would be excellent to have seen Phantom first, it is not a mandatory prerequisite. As I entered the enchanted realm of Lloyd Webber’s imagination at The Bushnell Center for the Performing Arts for Love Never Dies (music by Lloyd Webber; lyrics by Glenn Slater; book by Ben Elton based on The Phantom of Manhattan by Frederick Forsyth; additional lyrics by Charles Hart; and orchestration by David Cullen and Lloyd Webber) I was not only transported back to that incredible moment when I was bitten by the Broadway bug, but I considered how enormously grateful I am for the opportunities my husband/co-reviewer and I have that allow us to see and review truly phenomenal theatre. Love Never Dies is a sublime spectacle filled with wonder and delight – a production that from beginning to end kept me thrust forward in my seat, enraptured, so as not to miss a moment of its splendor. Am I gushing? Yes. And with good reason. Love Never Dies brings with it all the dark, electrifying magic of the original Phantom story and crafts it into an equally as bewitching, sparkling new incarnation; a continuation of the saga which takes place 10 years from the events at the Paris Opera. Christine Daaé, with her husband, Raoul, and their 10-year-old son, Gustave, in tow, is called to New York by Oscar Hammerstein to sing at the opening of his Manhattan opera house – but in a twist and unbeknownst to her, it is the Phantom who desires her presence – and he manipulates her into singing for him at his Coney Island amusement park, Phantasma. An incredible cast of carnival characters, including “freaks” Fleck, Gangle, and Squelch, welcome the family. It’s not long before Christine learns the truth and that the Phantom is still alive – she is immediately under his spell, not surprisingly considering the mess Raoul has made of his life and his relationship with his wife. Christine’s presence is not welcomed by everyone – namely Madame Giry and her daughter, Meg, who would rather she and her unrivaled voice had remained in Paris. Madame Giry and Meg had been keeping the Phantom and his talents all to themselves and having Christine back in the picture destroyed any hopes for Meg to claim the limelight. Fine lines lie between love and hate; truth and lies. Rife with all the conflict you’d expect amid the glittering lights of Coney Island, Love Never Dies is a ride which soars unendingly – and I personally didn’t want it to end. Brilliantly directed by Simon Phillips and expertly choreographed by Graeme Murphy AO, on the night we attended, Bronson Norris Murphy played the Phantom. As the alternate for Gardar Thor Cortes, I can’t imagine a more flawless performance. He was incredible and his chemistry with Meghan Picerno as Christine was electrifying – an exceptionally gifted actress and songbird. Sean Thompson nailed it as Raoul, the man whose own vices left his marriage to wither and die, driving his love into the arms of the Phantom. Jake Heston Miller (who shares the role with Christian Harmston) played Gustave on the night we attended – and I was truly blown away. If this young man is this talented at his tender age, I can only imagine what lies ahead for him. I’ve not heard a voice like that from a child – angelic, strong, and with the control of a seasoned professional. Karen Mason as Madame Giry is the woman you love to hate – she is tremendously talented as is Mary Michael Patterson as her daughter, Meg. By far many of my favorite moments were when the terrific trio of Fleck, Gangle, and Squelch took the stage – played respectively by Katrina Kemp, Stephen Petrovich, and Richard Koons – they are mesmerizing individually as well as collectively. I do almost regret having to group the actors together who comprise the Ensemble since each of them contribute so generously to the gestalt of the show – the talents of Chelsey Arce, Diana DiMarzio, Tyler Donahue, Yesy Garcia, Tamar Greene, Natalia Lepore Hagan, Lauren Lukacek, Alyssa McAnany, Rachel Anne Moore, Dave Schoonover, John Swapshire IV, Kelly Swint, Lucas Thompson, and Arthur Wise are unmatched. Shout-outs always must given to Swings: Erin Chupinsky, Alyssa Giannetti, Adam Soniak, and Correy West; and to Chupinksy also as Dance Captain and to Arce as Assistant Dance Captain. In addition to the fantastic performances, equally as unparalleled is the music as well as the sets, costume, lighting and sound design. My husband is always floored at the ability of those who set up and break down these stunning pieces for national tours – Love Never Dies has a marvelous set which lends such magic to the production, not the least of which is the welcome carriage and the revolving floor. Kudos to Gabriella Tylesova for set & costume design; Mick Potter for sound design; Nick Schlieper for lighting design; Backstage Artistry for wig & hair design; Edward Pierce as Design Supervisor; Randy Moreland as Technical Director; and Kristen Blodgette as Music Supervisor. Finally, a musical isn’t a musical without it’s musicians: Dale Rieling as Music Director/Conductor; Eric Kang as Assistant Conductor/Keys 3; Dominic Raffa on Keys 1; David Robison on Keys 2; Dmitriy Melkumov as Concertmaster; Alex Wong on Viola; Nick Donatelle on Cello; Jessica Lipstone on Reed 1; Garrett Hack on Reed 2; Nathaniel Hoshal on Reed 3; Hector J. Rodriguez on French Horn; Gary Cordell on Trumpet; Ric Becker on Bass Trombone/Tuba; Abraham Masso III on Contra Bass; Aaron Nix on Percussion; and Stuart Andrews as Keyboard Programmer. 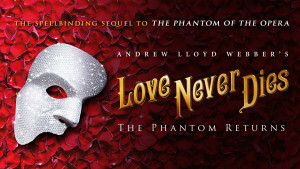 If you love The Phantom of the Opera, run, don’t walk to see Love Never Dies. And even if you haven’t seen it or only liked it – see Love Never Dies anyway – it’s an incredibly stunning piece of theatre! Despite my avid culture vulturism, I did not know that Andrew Lloyd Webber’s Love Never Dies was a sequel to his iconic classic which is still running on Broadway – The Phantom of the Opera. I do believe, however, that somewhere in my foggy synaptic neural network in a dusty corner of my brain, I had heard about it. But after seeing this wonderfully staged tour de force, I wondered why I have not heard more about this. And then my wife and co-reviewer, in doing her due diligence on every show we review, advised that it opened in London to extremely poor reviews which had the effect of postponing a Broadway run indefinitely. Fortunately, creativity, like love, never dies. The play, which is now on a national tour, is a must-see for all Phantom (and even non-Phantom) theatregoers. It represents the perfect closure to a story which has been told, twisted, contorted, and updated a gazillion times but nowhere has the incarnation of the tale been more popular among the masses than the Broadway version. We know that films are more amenable to sequels and prequels than Broadway shows, and each must be judged on its own merits. Nota bene The Godfather 2 is as good or better than The Godfather (even though The Godfather 3 slept with the fishes). Certainly, Wicked as a prequel to The Wizard of Oz has had a long life on the Great White Way, but we must remember that the original started as a book and film and was not an iconic staged version to which it may be compared. The bottom line is – in this humble reviewer’s opinion – Love Never Dies is a wonderful sequel and/or stand-alone show with glitzy staging, staccato pacing, suspenseful plot, a knock-down-drag-out second act that you do not want to end; and thrilling operatic singing by the entire cast that will give you goosebumps. Since the music is by Andrew Lloyd Webber, like true classical music, many of the songs are reminiscent of the original score – which ultimately enhances somewhat of a haunting, austere mood which fans of the original will immediately recognize. (It also should be noted that orchestration was done by Andrew Lloyd Webber and David Cullen.) The book was by Ben Elton and was based on The Phantom of Manhattan by Frederick Forsyth) which explains why the setting of the action takes place in Coney Island, New York. 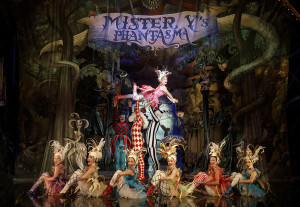 It is ten years later and the Phantom who used to stalk the old Paris Opera House is now using his talent in running the carnival-like atmosphere of one of the side shows at Coney Island. He is still lamenting his love for Christine – his Angel of Music – who has not heard from or seen him in a decade. He finagles an American singing debut for her in New York. Now basically unmasked – at least figuratively if not literally – the Phantom confronts Christine in a final attempt to win her heart and soul. Will she sing one last time for the Phantom and remain with him? Will she choose to stay with her husband of ten years who loves his wife? And what about her ten-year-old son Gustave? Are they going to pull a Star Wars reveal on us in the sequel and make him the son of the Phantom? These and other questions will not be spoiled here. 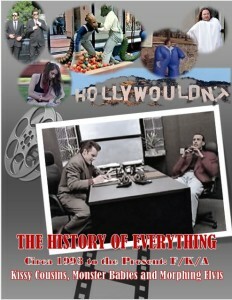 It is my way of encouraging you to see and experience this great piece of musical theatre. The night my wife and I saw it, Bronson Morris Murphy understudied for the Phantom and Jake Heston Miller played Gustave. Both were superb, with voices to-die-for. Meghan Picerno made an exquisite Christine whose incredible operatic voice almost shattered the lenses in my eyeglasses. 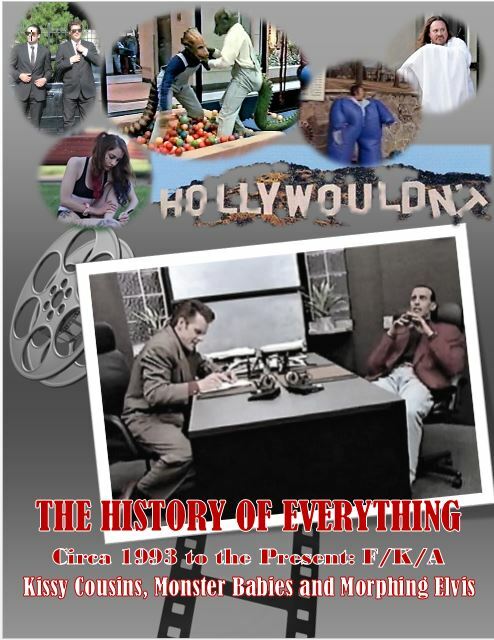 Christian Harmston showed some great acting chops as he subtly manipulated the arc of his character from lazy lounge lizard hubby to a fairly empathetic and even noble character at the end. Mary Michael Patterson and Karen Mason were the perfect Cruella de Vil tag team as Meg Giry and Madame Giry, respectively. Finally, special shout-outs must be given to the vibrant trio of Carnival principals: Katrina Kemp (Fleck), Stephen Petrovich (Gangle), and Richard Koons (Squelch). Love Never Dies is the perfect example of the subjectivity of the industry, that one person’s trash is another’s treasure and critics do not always know from wither they dost speak. I truly hope that the show Love Never Dies doesn’t die but continues to find the appreciative audience that it rightly deserves.